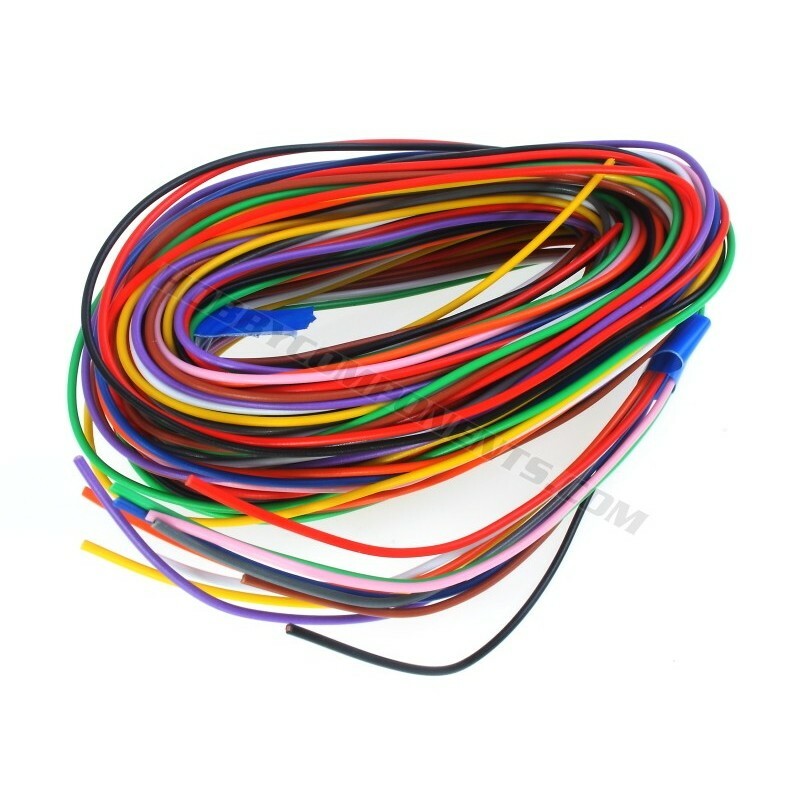 Single Core Solid Equipment Wire Pack, 1/0.6mm Conductor Stranding, 1.4mm Cable Diameter, 1kVrms Voltage Rating, Copper Conductor Material, Wire Stays in Formed Shape without Cable Ties, Ideal for Plate Wiring, Supplied in Pack of 11 (2m Each of Eleven Different Colours). 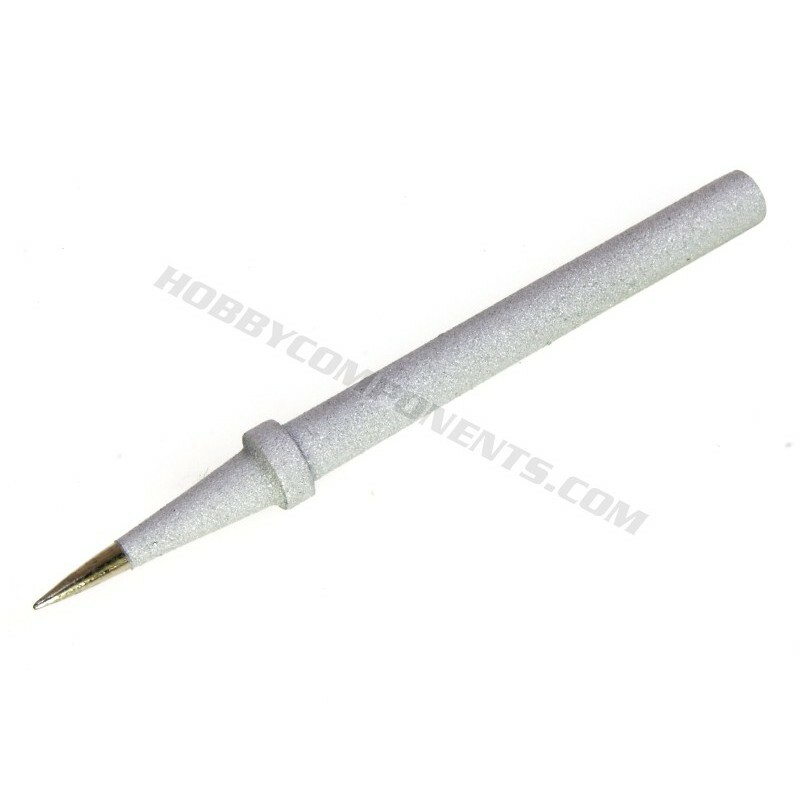 Replacement soldering iron tips for the Anvil range of irons we sell. 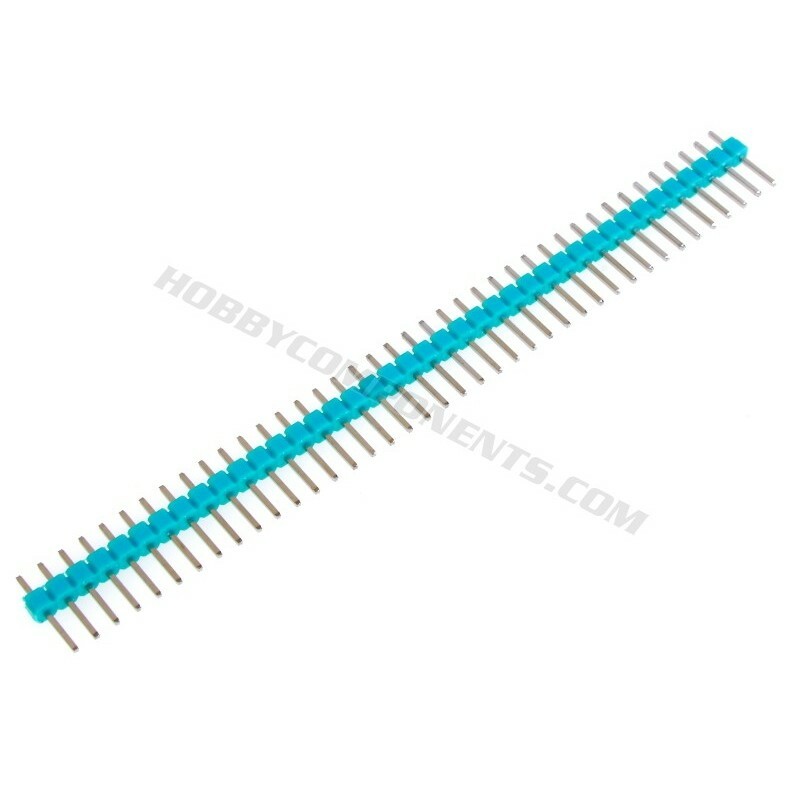 These tips are conical and the tip measures 0.5mm, making it perfect for intricate soldering projects.The replacement tips can be purchased here.The soldering iron can be purchased here.The soldering station can be purchased here. 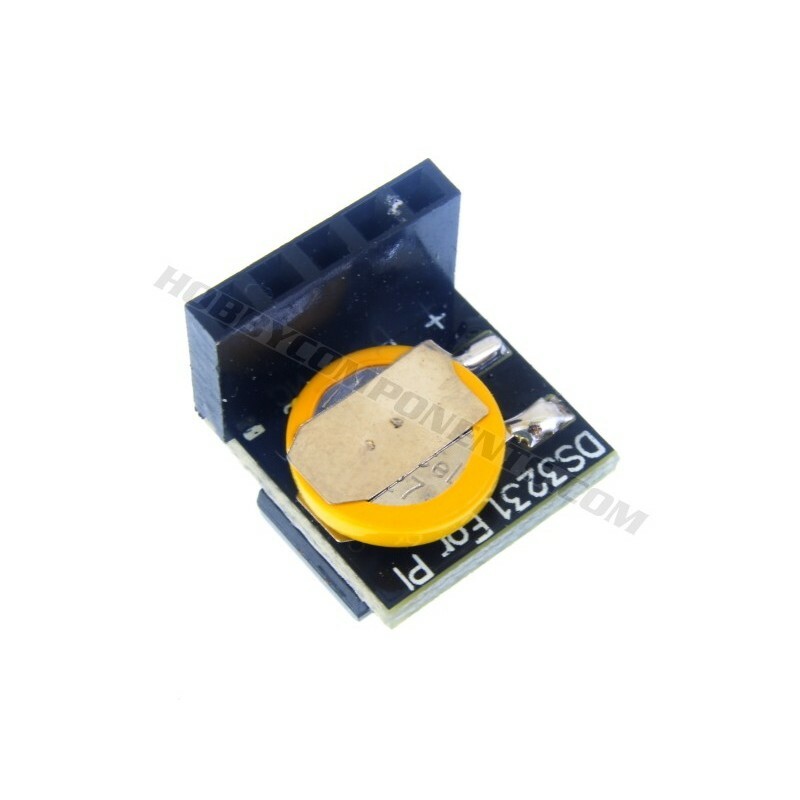 Low-cost soldering station, which is ideally suited to applications where durability, physical size and budget are the main concerns. 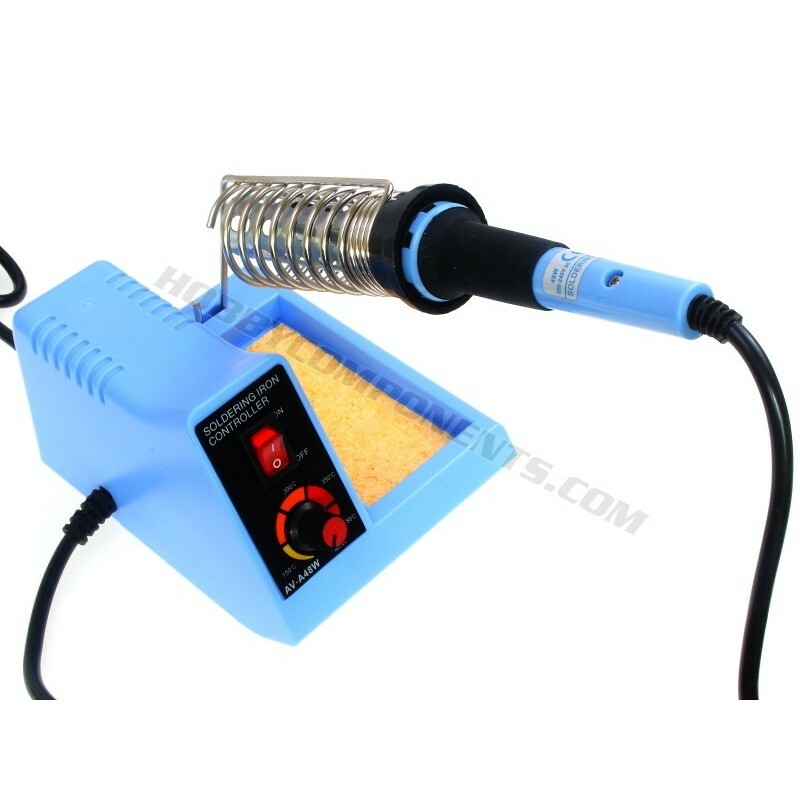 The 48W soldering iron is ideal for both traditional and lead-free solder. 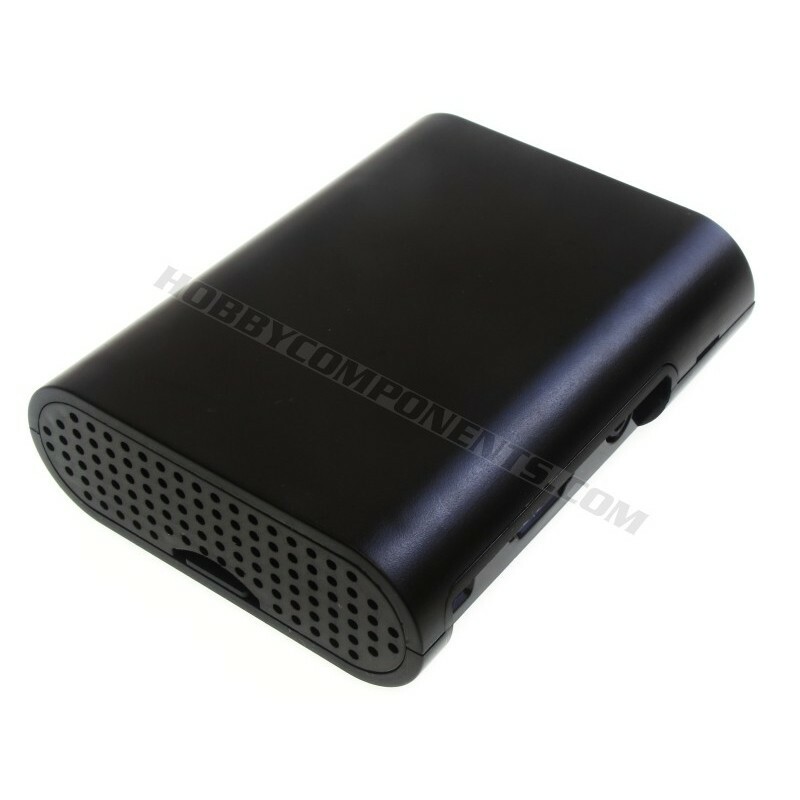 The temperature is adjustable from 150 to 450 degrees. 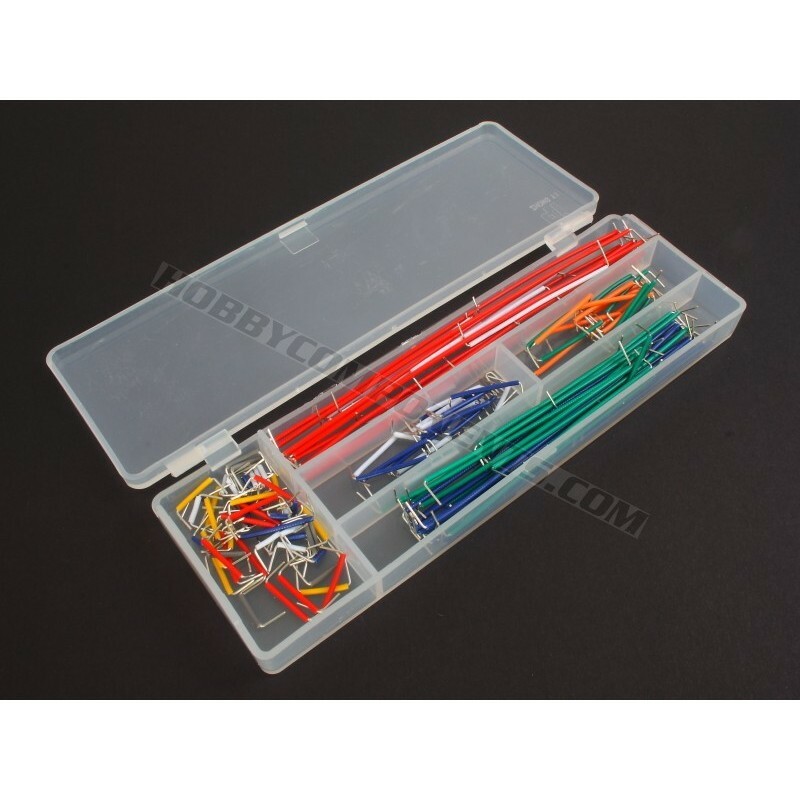 Included is a soldering iron, tip cleaning sponge and an integral soldering iron holder. 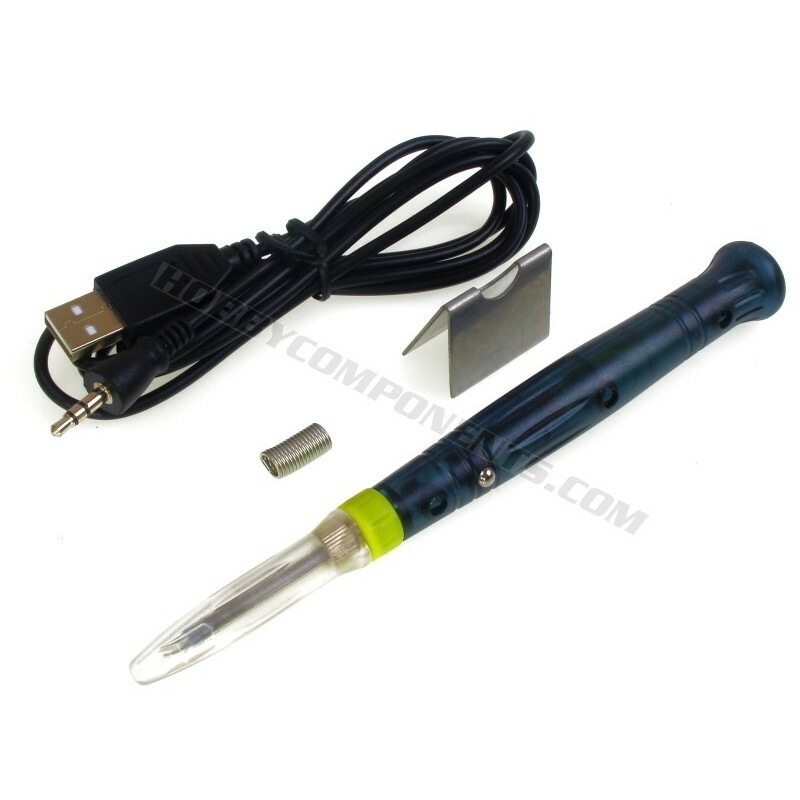 40W mains powered soldering iron from the Anvil AV-SI series. 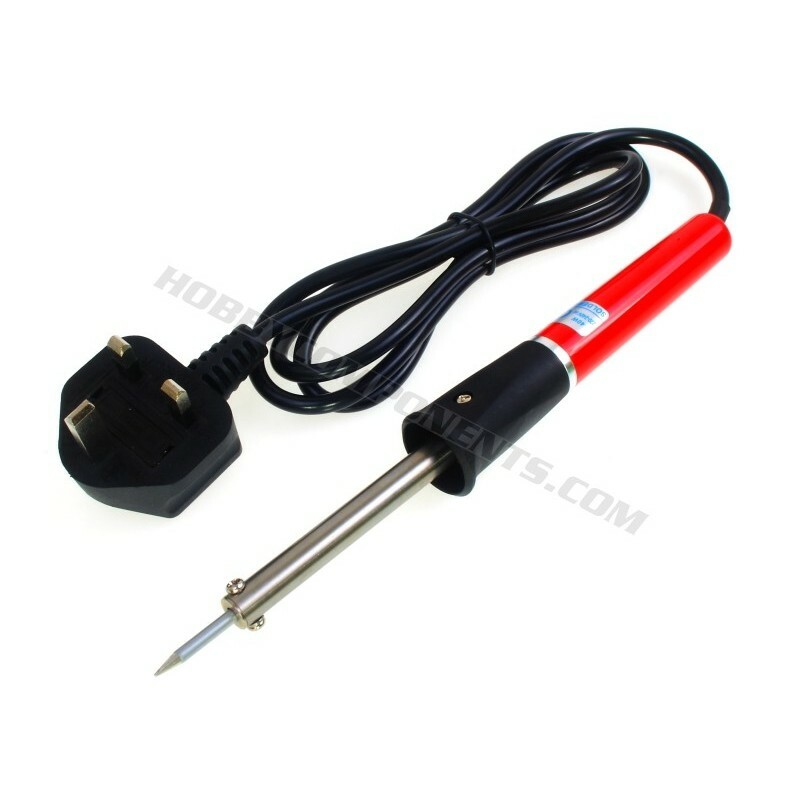 This soldering iron is fitted with a UK plug.The soldering iron can be purchased here.Replacement tips can be purchased here. 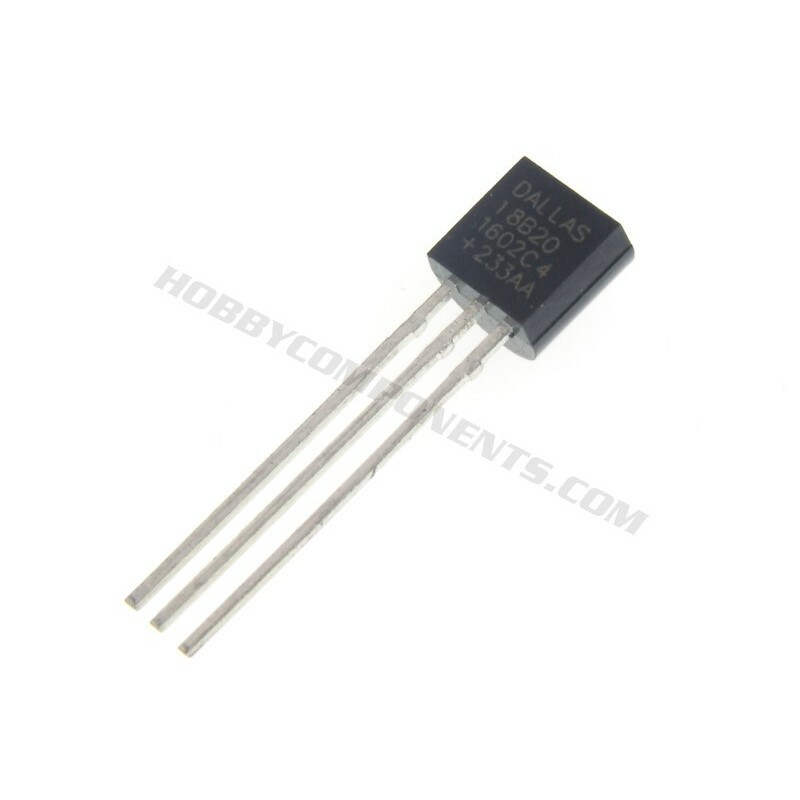 The DS18B20 Digital Thermometer in a small 3 pin TO-92 package. 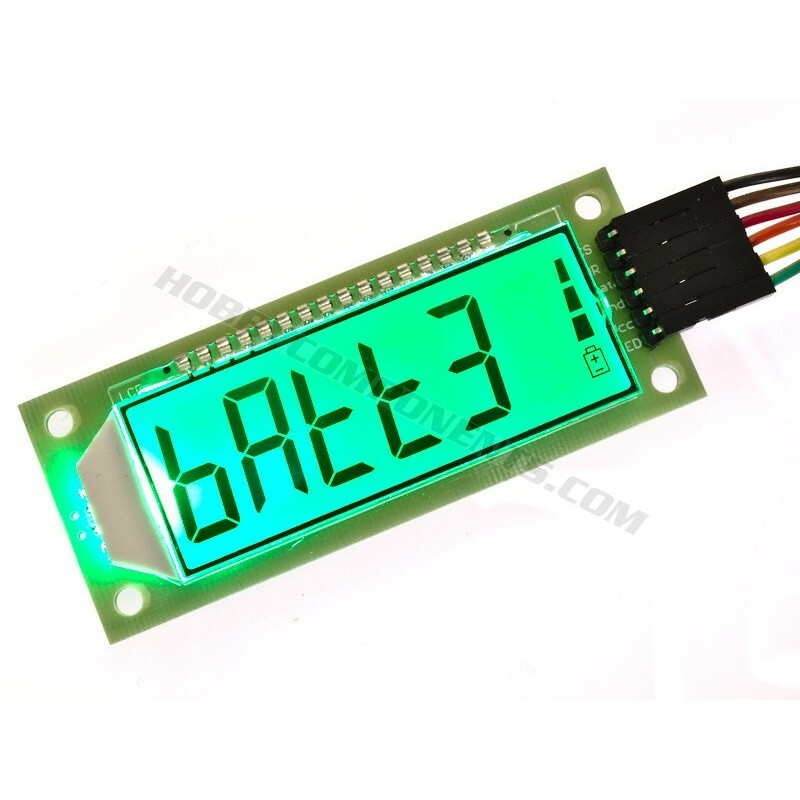 It provides 9 to 12-bit (configurable) temperature readings which indicate the temperature of the device. 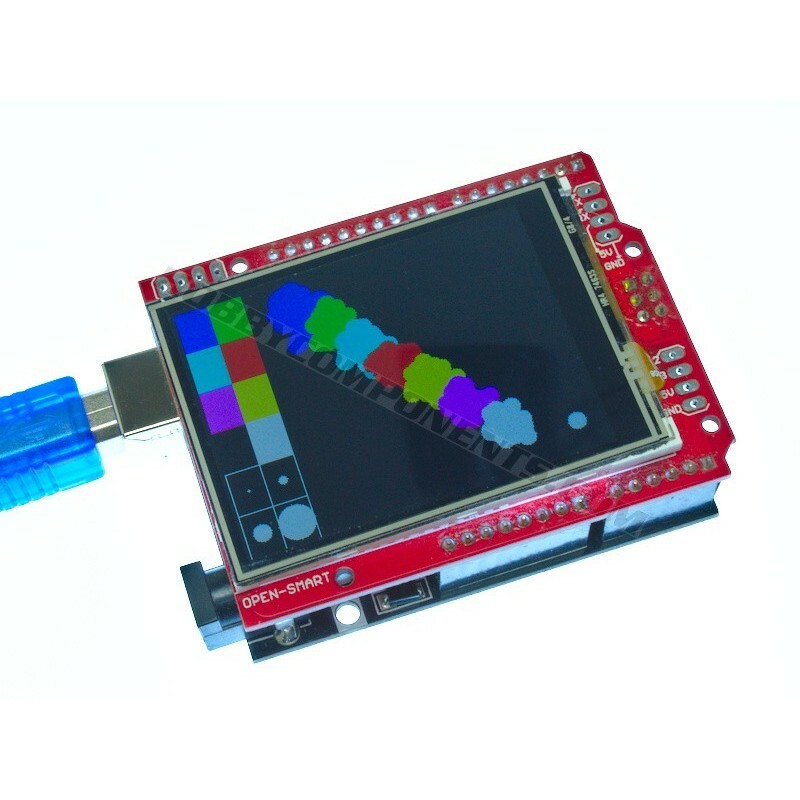 A colourful rang prototyping breadboards have 170 tie points and are perfect when space is an issue, or when your project doesn't call for larger boards. 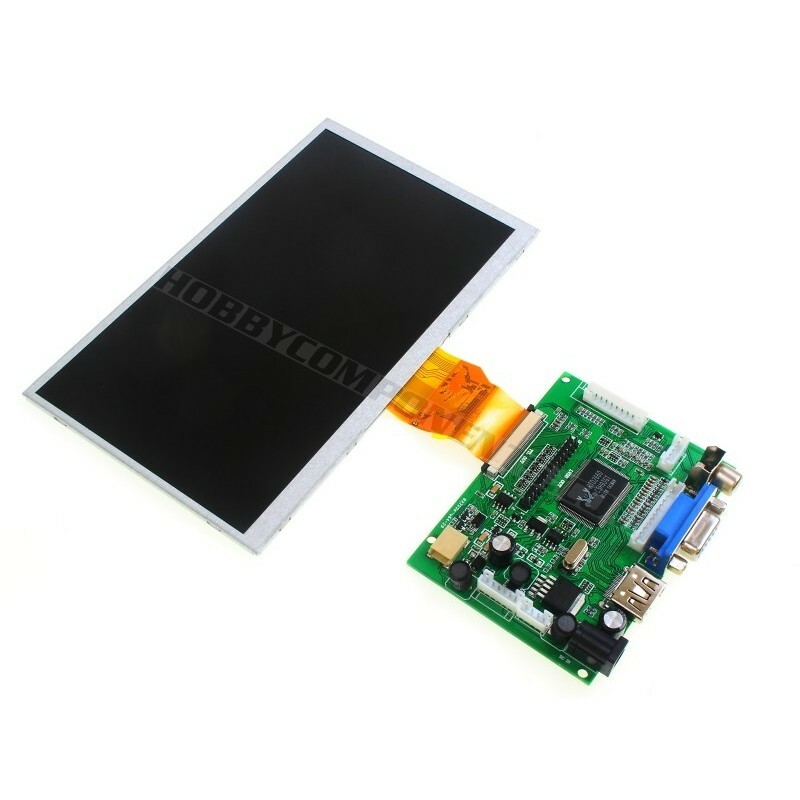 They are approximately 35 x 47 x 8.5mm and are available in the following colours. 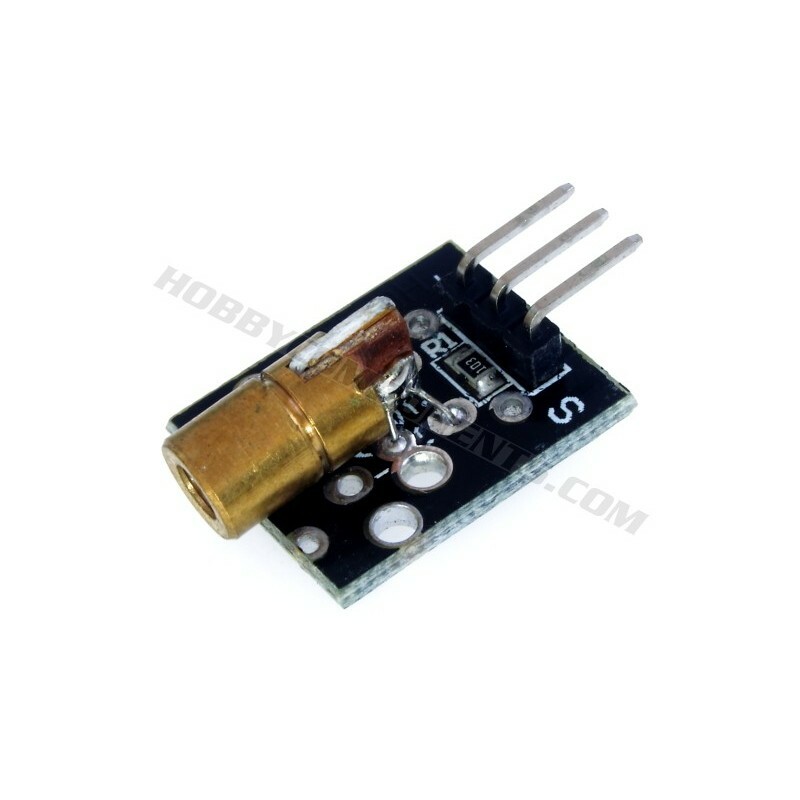 This 100mW laser module emits a small intense focused beam of visible red light. 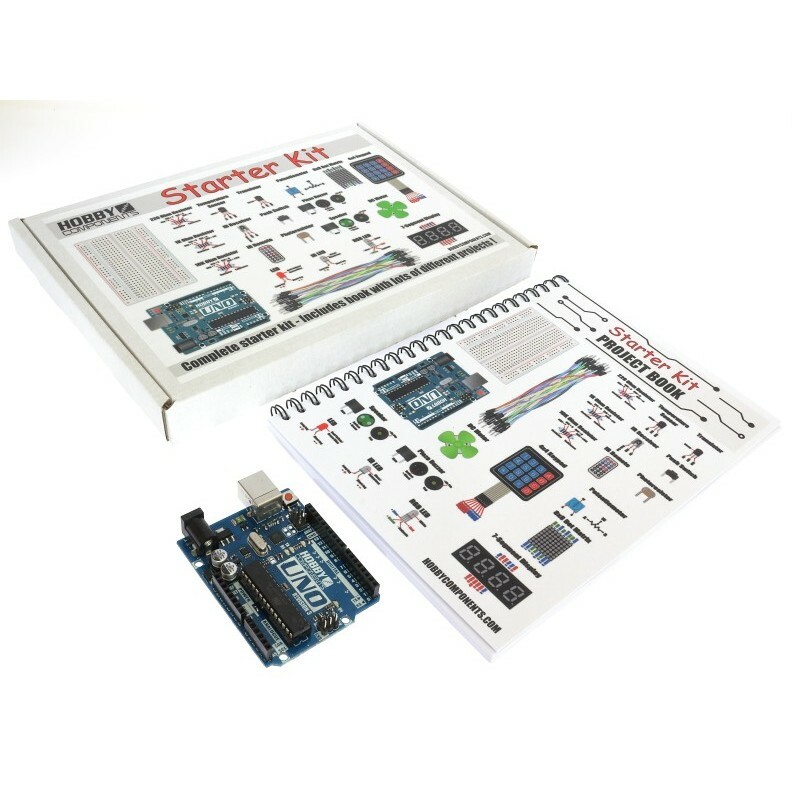 The example provided below shows how the module can be used with an Arduino and photo resistor module (available here) to perform basic remote signaling. 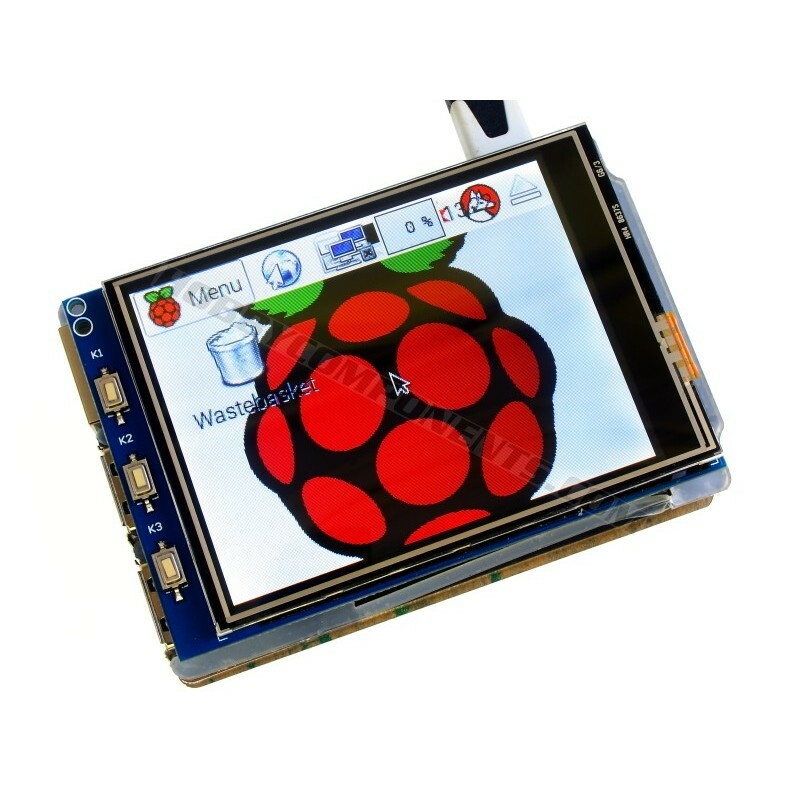 This bundle allows you to create your own Pi HAT by attaching custom circuitry. 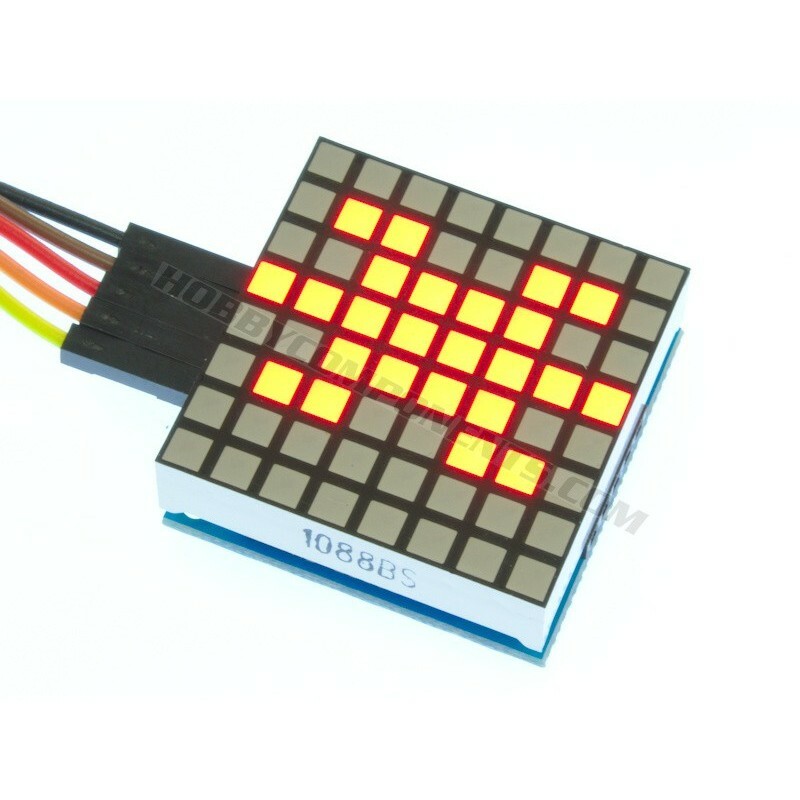 The PCB itself has a grid of 0.1” prototyping holes for attaching ICs, resistors, LEDs, potentiometers etc. 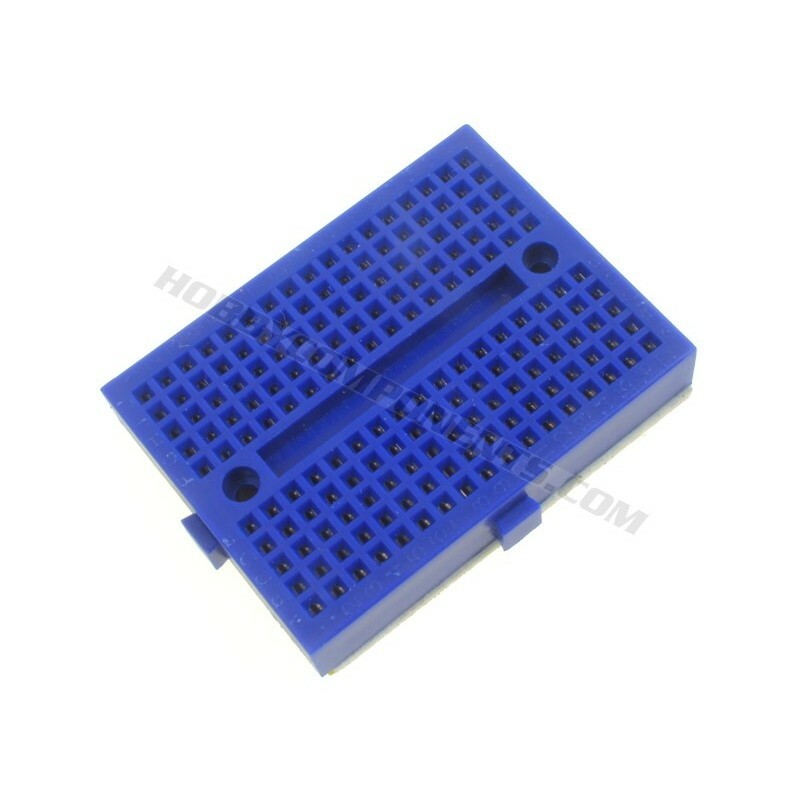 The holes are connected on the underside of the board, which mimics solderless breadboard prototyping, so it's great if you're used to prototyping with breadboard. 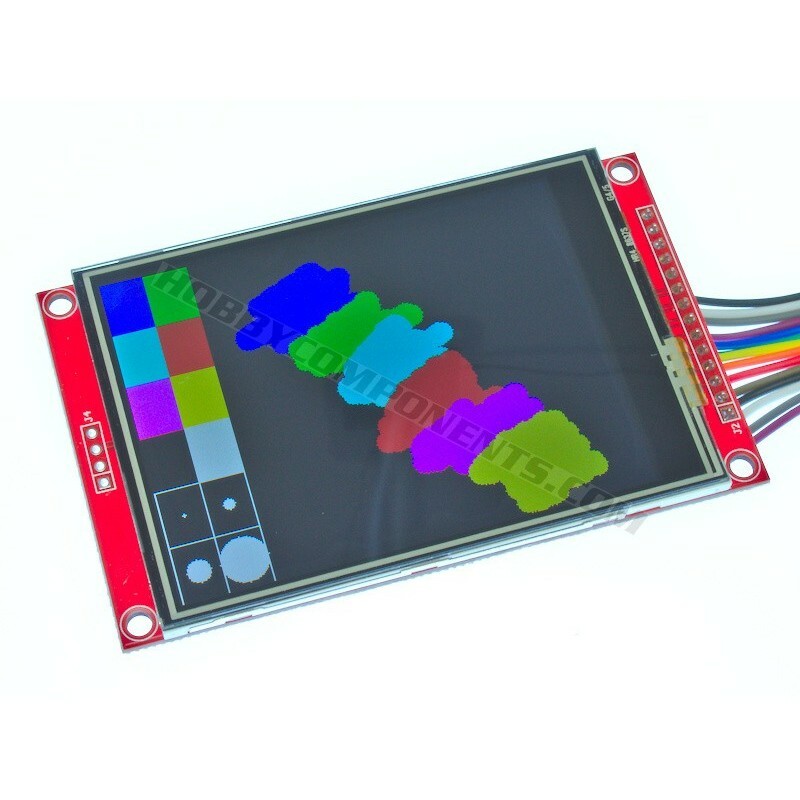 This serial SPI touch screen has a resolution of 320 x 240 pixels and includes a restive touch interface. 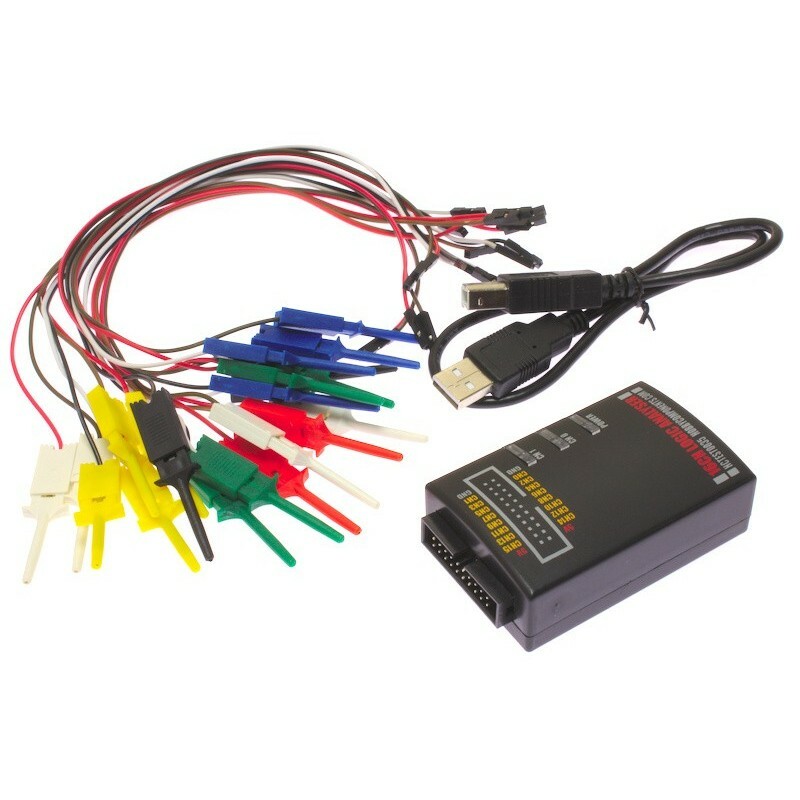 Specifically designed for the ResbarryPi is can be plugged straight on to the Pi's GPIO header with no additional soldering or wiring required. 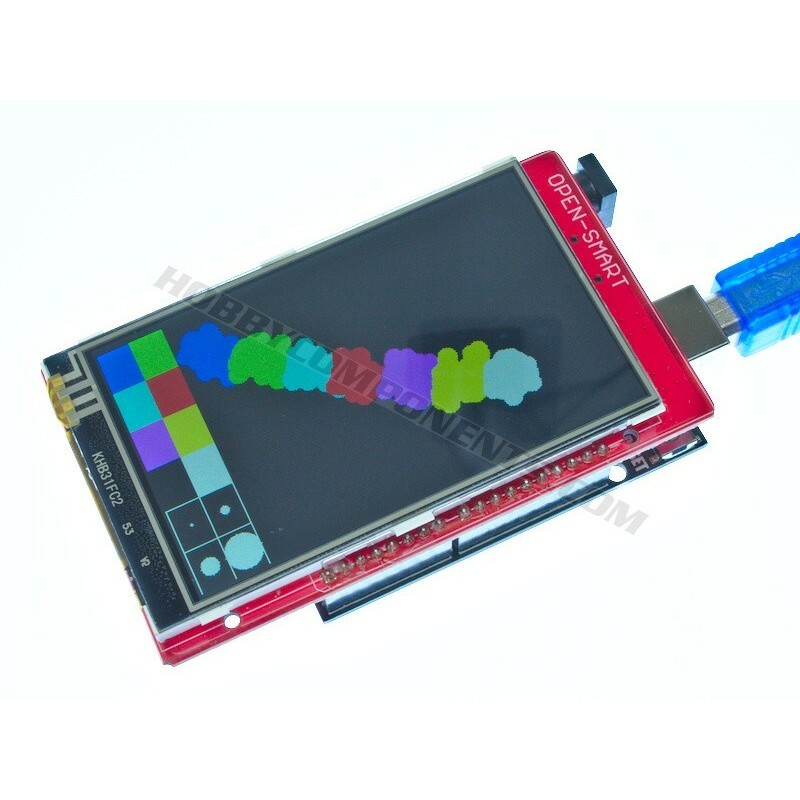 Included with this item is a stylus pen for use with the resistive touch screen.